Sick Rat - Is My Rat Ill And What Should I Do? 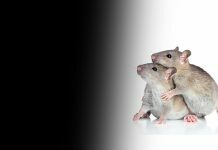 Home Pet Rats Sick Rat – Is My Rat Ill And What Should I Do? 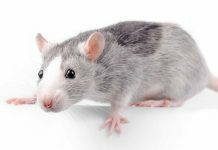 If you’re worried that you have a sick rat, this article has an overview of common rat ailments. Rats are generally healthy animals, and many will go their whole life without ever suffering from major health problems. But there are a number of illnesses and diseases that can affect rats. 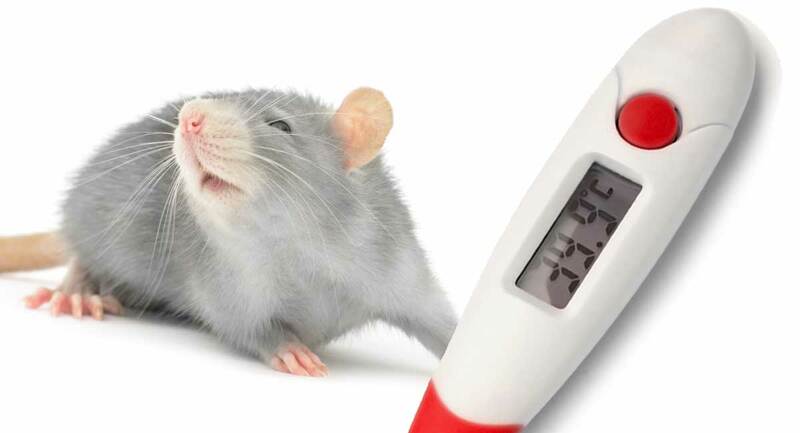 We’ll look at sick rat symptoms, methods of treatment available, and preventative measures you can take to ensure your pet rat is as healthy as possible. Due to their small size it’s not always easy to tell if you have a sick rat. Mycoplasma pulmonis is a species specific bacteria that virtually all rats are born with. 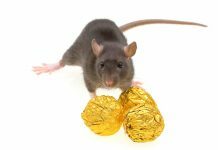 Many apparently healthy rats act as carriers of this organism, spreading the it through the population. It is the cause of murine respiratory mycoplasmosis (MRM), a chronic and progressive respiratory disease and one of the most common rat illnesses. MRM presents with a number of symptoms including: sneezing, sniffling, squinting, wheezing, difficulty breathing, red-colored tears, and a thick discharge from the nose. If the infection spreads to the middle or inner ear it can cause the rat’s head to tilt to the side. As the disease is chronic, older rats are more susceptible and may experience more severe signs of the illness. If your rat has any of the above symptoms take him to the veterinarian. Although there is no cure, the disease can be controlled by antibiotic treatments. Left untreated, mycoplasmosis in rats can be fatal. Factors that can exacerbate this disease include, a weakened immune system, stress, poor ventilation, overcrowding in cages, and the presence of secondary illnesses. To prevent MRM avoid overcrowding and keep their cage clean, dry, and away from drafts. Mycoplasma infections like MRM are highly contagious to other rodents so it’s important to isolate a sick rat. Pododermatitis, or bumblefoot, is a bacterial infection and inflammatory reaction of the feet that is fairly common in rats as well as birds, rabbits, and other rodents. The term bumblefoot refers to the main symptom of red lumps or bumps on the bottom of the feet that look like hard calluses. Bumblefoot is usually caused by an injury or open wound becoming infected. Your veterinarian may prescribe antibiotics or topical medications. For lesions that don’t heal, surgery or laser therapy may be recommended to heal your sick rat. The best way to avoid this condition is to keep your rat’s cage as clean as possible. If you notice a cut, scrape, or abrasion, clean it thoroughly immediately. Left untreated, bumblefoot can lead to abscesses and chronic inflammation. The term nephropathy refers to any disease of the kidneys that could result in kidney failure. Symptoms include: weight loss, increased drinking and urination, and hind leg weakness. A diet that is high in protein is believed to be the major cause for severe nephropathy in rats. Therefore, changing their source of protein to soy or decreasing protein consumption could reduce severity. Nephrocalcinosis is a condition in which calcium levels in the kidneys are increased and is found most often in female rats. A diet with balanced nutrients appears to improve the health of sick rats for diet-related kidney diseases. Growths are very common in rats and a lump doesn’t necessarily mean that it’s cancer. Benign growths are harmless and surgery should only be considered if it’s affecting your pet’s quality of life. Older rats in particular should not undergo surgery unless absolutely necessary because they may experience worse effects from the anesthetic and stress involved. Unfortunately, malignant tumors are just as common as benign growths in rats. The groin and armpit area are where tumors are most likely to appear. Female rats are more prone to cancer than male rats. Spaying at three to four months old is recommended to decrease the risk of mammary tumors in females. Overweight rats and those who eat a high fat diet are also more at risk, so a good balanced diet is important. If your sick rat has a cancerous tumor, discuss the options with your veterinarian. Surgery may be suggested depending on the size and location of the tumor. Malignancy will spread quickly and a decision will need to be made in a timely manner to avoid suffering as much as possible. A rat’s average lifespan is between 2 to 4 years. Abscesses are accumulations of pus caused by an infection, wound, or other trauma and can grow to be quite large. If your pet rat has a lump that appears quite suddenly it is more likely an abscess than a growth or tumor; especially if there is a wound on the lump. Squeezing it will cause the infection to go deeper inside the rat’s body. This can make your sick rat very ill. It is best to see a veterinarian who can lance the abscess. Antibiotics may also be prescribed. If the abscess is not lanced it will eventually burst and produce pus that contains a high volume of bacteria. If you have more than one rodent, the sick rat should be kept isolated until the wound is entirely healed. If you detect your rat scratching a lot it could be a sign of parasites like lice or mites. The cause can be poor care, overcrowding, rough bedding, or exposure to other infested rodents. A veterinarian will prescribe a pesticide like Ivermectin. Be mindful of the dosage given to your sick rat as too much can be fatal for him. A topical product may also be prescribed. Excessive scratching can lead to lesions and scabbing. Scabbing can also be a symptom of food allergies, so it’s important to find the actual cause of the problem. It’s a good idea to remove artificial ingredients and coloring, as well as nuts, from their diet to determine if this is the issue. Realizing your pet might be unwell is an anxious time. But knowing what to look for, so you recognise the the symptoms of a sick rat quickly, gives them the best possible outlook for a bright and healthy future again. Wherever there is doubt, always ask for your vet’s opinion – they’ll never begrudge a consultation which simply turns into a wellness check up, and you’ll have peace of mind. Has your pet rat had any of the conditions listed here? Or have the been struck down by a condition we haven’t listed? Tell us how they got on in the comments box below. Previous articleCockatiel Lifespan – How Long Do Cockatiels Live? Next articleAfrican Grey Parrot Lifespan – How Long Do Parrots Live?